Consisting of current and former members of NECROPHAGIST, OBSCURA, SPAWN OF POSSESSION, ABORTED, and more, ALKALOID set out to push the boundaries of extreme music on their impressive full-length debut 'The Malkuth Grimoire'. 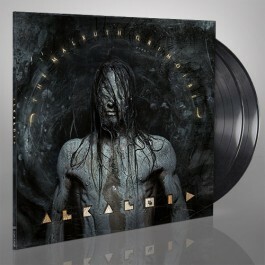 With their entirely self-recorded album, ALKALOID burst onto the metal scene like a supernova. Within twelve tracks and 73 minutes of mind-bending music, ALKALOID seamlessly ebb and flow through an array of styles and genres, creating an intelligent and fascinating blend of prog, death metal, and fusion. 'The Malkuth Grimoire' proves that ALKALOID is the world's premiere progressive metal supergroup. Now available on vinyl for the very first time!